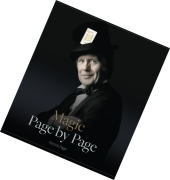 This website is owned and operated by Patrick Page trading as Patrick Page Magic Ltd.
We’re committed to protecting and respecting your privacy in line with new General Data Protection Regulations (GDPR). This policy explains (hopefully in plain English) how and why we use information you have given us and how we keep it secure. GDPR also gives you new rights and much more control over your personal data. We’ll tell you about all this below as well. Obviously we collect information about you when you contact us about products and services. We also collect limited information when you visit our website via cookies. These help us improve and personalise our site. We’ve explained more about both in sections 3 and 4 below. WordPress (devicePixelRatio). This cookie is used to make sure our site displays properly on your device. It adjusts the pixels depending on your screen size to make sure our website always looks good. Overall, cookies help us to give you a better website experience. However, if you prefer, you can easily turn cookies off in your browser settings. Here are some links to popular browser’s’ instructions as to ‘how to disable cookies’. GDPR requires all businesses to have a lawful basis to process personal data about a customer/prospective customer. The law sets out six different lawful bases to choose from. Business owners have to explain to you how and when we process your data and the legal basis for each occurance. Currently our processing fits into three of the six available bases. ‘Contractual’ basis – this is when processing your data is obvious and necessary, for example you submit an enquiry and ask us to get back to you or you contact us to buy a product. Whatever the circumstance, please be assured, we will only use this data for the purposes of your enquiry and offering relevant services to you. Please also be assured. We never share your information with third parties for the purpose of marketing. ‘ Legitimate Interests’ basis – we may contact you again after we have provided our services. For example we might email you in the future to remind you about new products. The law says businesses cannot send marketing emails or texts to individuals without specific consent. However, there is a limited exception if you are a previous customer as long as we only contact you about the same or similar products. GDPR’s terminology for this is ‘soft opt-in’. Of you always have the right to ask us to never contact you again. ‘ Legal Obligation’ basis – some processing is necessary because we have to comply with the law. For example, when you hire our services. HMRC require us to keep records for at least 5 years. When you give us personal information, we take steps to ensure that it’s treated securely. We will absolutely not share your information with third parties for marketing purposes. a) When you call, email or contact us via our website or social media, any personal information you give is initially recorded electronically and stored safely. b) When you purchase products or services from us we also generate a paper copy for preparation of our annual accounts and tax return. GDPR doesn’t prohibit keeping personally identifiable information on paper but we must take all reasonable steps to make sure it’s stored securely. We confirm that we always adhere fully to the safe storage of your personal data – be that electronic or paper. c) We use Google as our email provider. Google services are compliant with GDPR and emails have end to end encryption by default. d) When you use our website https://patrickpagemagic.co.uk/ any information you send via our shopping cart will be secure and communications between your browser and the website are encrypted (SSL). e) Our website is hosted on Commerce Magic servers which are located in the UK. General Data Protection Regulation (GDPR) provides increased rights for individuals. This is the full list of individual’s rights. They don’t apply in all circumstances. However, if you wish to exercise any of these rights please contact us using the details below and we’ll be happy to help. ● The right to be informed about the processing of your personal information. ● The right to have your personal information corrected if it is inaccurate and to have incomplete personal information completed. ● The right to object to processing of your personal information. ● The right to restrict processing of your personal information. ● The right to have your personal information erased (the “right to be forgotten”). ● The right to request access to your personal information and to obtain information about how we process it. ● The right to move, copy or transfer your personal information (“data portability”). ● Rights in relation to automated decision making which has a legal effect or otherwise significantly affects you. After receiving any request, we will tell you if and when we expect to provide you with the information, and whether we require any fee for providing it to you. Whilst we’re expected to provide you with a copy of the information free of charge, we can charge a ‘reasonable fee’ if your request is unwarranted. GDPR says we shouldn’t retain your data for longer than is necessary. a) For as long as we have reasonable business needs – like replying to your queries about products and services and completing your orders. b) To comply with our legal obligations to HMRC – 5 years after the 31 January submission deadline of the relevant tax year. a. If you are not happy with how we handle your data or you have any complaint then you should tell us by email. 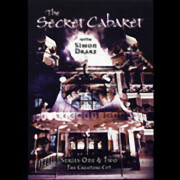 Our email address is sales@patrickpagemagic.co.uk.